According to the 2014 CMO survey published by the American Marketing Association, companies that offer services spend around 10% of their revenue on marketing, firms that offer products to other businesses on average spend 11%, and those that offer products directly to customers spend more than 16%. Product-based B2C companies need to spend significantly more to influence a purchase because every element plays a powerful role in the consumer purchasing process. These elements go beyond advertising and creating marketing material. Take a retail store for instance. While advertising would create familiarity with the brand, the final purchase decision is influenced by the packaging of the product as well as the display. In fact, a point-of-purchase (POP) display is hugely critical in making a sale happen because it brings together the three most vital elements – the product, the customer, and the money – says an article in the Harvard Business Review. The effectiveness of a POP display is measured by how well it attracts customers, represents the brand image, communicates the advantages of the product, and increases the visibility of the deals and discounts currently on offer. A wooden display usually grabs attention. This is because wood is associated with integrity, sophistication, and nostalgia. The wood also gives off a sense of warmth and comfort. Its natural look offers an impressive backdrop to showcase the products. • Choosing the Color: The color of wood ranges from very light brown (almost cream) to a deep brown. The choice would depend on the product, the colors of your brand and the colors of the product package. If there are more than two colors in your brand or the product package, a lighter shade of brown may look better. • Selecting the Texture: Wood can have a rugged or classy look, depending on the finish. The selection again depends on the look you are trying to portray. • Combining with Other Materials: While the display may be wooden, your logo or a message could be featured on a strip of metal on the stand. You can even have plastic shelves against a wooden backdrop. This could make the display more likely to catch an eye. • Keeping it Simple: A simple yet attention-grabbing design looks more sophisticated and is far more difficult to achieve than complex designs, say the graphic designers at Metaline Products. When using a wooden display, especially if it is textured, a simple design would look more appealing. When designing, think of the display as a stage and the product as the protagonist. A great deal of businesses spend a lot of their wealth on advertising to target the consumer. These companies should utilize the most appropriate marketing tools to obtain the results they need. 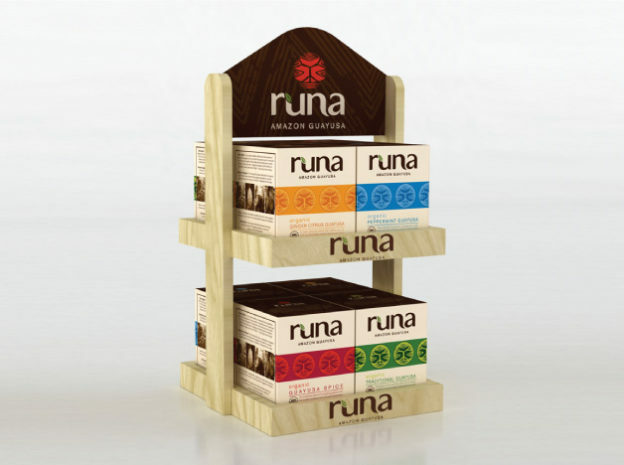 Wooden POP displays should not be overlooked in retail marketing. This tool is at a significant point in the consumers purchasing process. Moreover, these displays have the power to directly drive sales results. Thus, while making this investment, it is best to opt for a company that has vast experience in the field. A well-thought-out brand communication strategy, complemented with an appealing design, can make a huge difference to a company’s bottom line.